Germany looks back onto a longstanding tradition in vertical windtunnel development and design. German engineers developed the first closed, i.e. recirculating, windtunnelsystem already in the thirties of the last century (known as “Göttinger Design”). 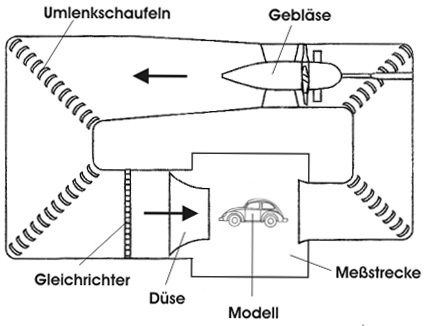 Since that time, German engineering and technology for windtunnel design is internationally recognized. Driven by the strong demand of the German car industry windtunnel technology “Made in Germany” evolved into the leading quality standard for windtunnels. As German car engineering, German windtunnel technology stands for finest engineering and quality on an international basis. Inspired by the dream of flying, ISG adapted the internationally recognized German windtunnel technology to the demand and needs of freefall simulation. In 2007, ISG developed in cooperation with the aerospace center of the Technische Universität Berlin the latest, most silent and energy efficient vertical windtunnel worldwide. The aerodynamical design also pays attention to keeping construction cost as low as possible. In May 2008, the foundation for our reference facility was laid in Bottrop, Germany. In April 2009, the vertical windtunnel started operations. Further projected German sites are Berlin, Hamburg, Frankfurt and Munich. Beyond, ISG sells its windtunnel technology on a worldwide basis.